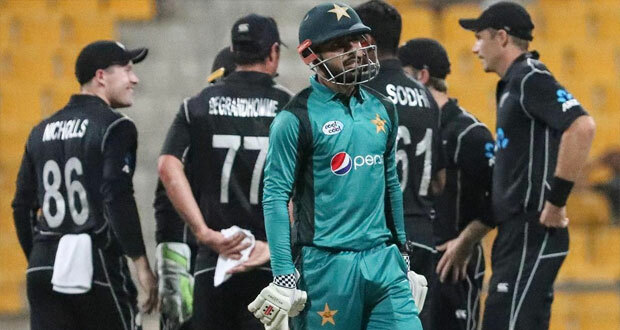 Abu Dhabi (November 09, 2018): New Zealand has won the toss once again and elected to bat against Pakistan in the second ODI being played at Sheikh Zaid Stadium Abu Dhabi. 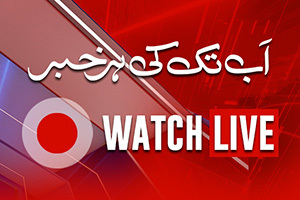 In the first match, New Zealand defeated Pakistan by 47 runs. The two sides have faced each other six times in Abu Dhabi, with the Kiwis having the upper hand with a 5-1 winning ratio against the Green Shirts. New Zealand, who are ranked third in the ICC ODI Team Rankings, kept the lid on Pakistan’s explosive batsmen with their strong bowling display in the first ODI. 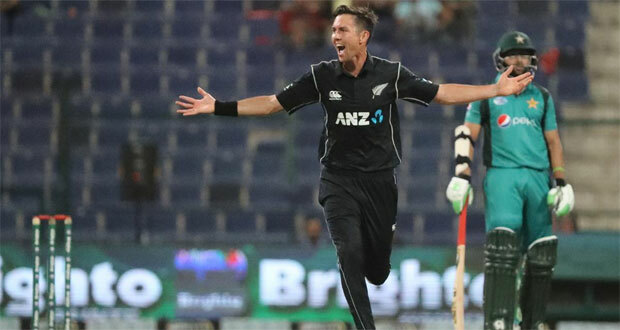 Trent Boult, who missed the T20I series as he was on paternity leave, made a strong comeback to the national team by becoming the third New Zealand bowler to claim an ODI hat-trick. Defending 266, Boult reduced Pakistan to 8 for 3 after he dismissed Fakhar Zaman (one), Babar Azam (nought) and Mohammad Hafeez (nought) in the third over. 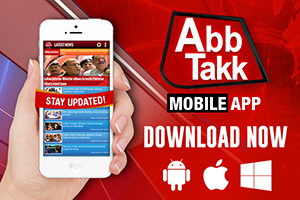 He finished with figures of 3 for 54 as Pakistan were bowled out for 219 in 47.2 overs. Grandhomme took 2 for 40 while Lockie Ferguson finished with 3 for 36. Despite suffering heavily, Sarfraz slammed Ross Taylor for publicly questioning the legality of Mohammad Hafeez’s bowling action during the match. In fact Pakistan were so miffed by Taylor’s action that they took the matter to match referee Javagal Srinath. Terming Taylor’s gesture as “disgraceful”, Sarfraz said that he should instead be focusing on his batting. Five out of the six ODIs in Abu Dhabi this year have been won by the team batting first. Pakistan barely scraped through in a chase of 258 in the other game. And besides, with the prickly afternoon weather, most teams would prefer being on the field after the night sets in. Surfaces in the UAE have shown a tendency recently to not favour extremely high scores, so a total of 250 or thereabouts should prove competitive. Sarfraz Ahmed needs 120 more to complete 2000 career runs, and four more catches to complete a 100 of them in ODIs. Fakhar Zaman has a dismal record in home ODIs. In 11 innings, he has 205 runs, is yet to cross fifty, and has an average of 18.63, which pales in comparison to his career average of 56.10.